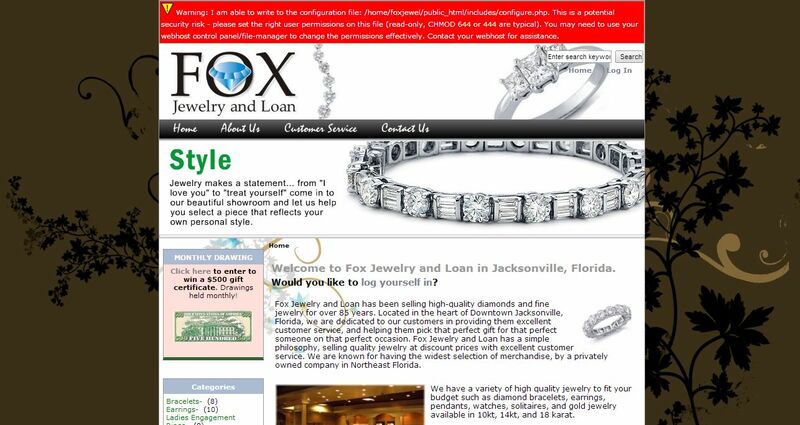 Fox Jewelry And Loan address, phone, website, hours of operation, and more. Fox Jewelry and Loan has been selling high-quality diamonds and fine jewelry for over 85 years. Located in the heart of Downtown Jacksonville, Florida, we are dedicated to our customers in providing them excellent customer service, and helping them pick that perfect gift for that perfect someone on that perfect occasion. Fox Jewelry and Loan has a simple philosophy, selling quality jewelry at discount prices with excellent customer service. We are known for having the widest selection of merchandise, by a privately owned company in Northeast Florida. Whether you are looking for a loose diamond, or that perfect mounting for your diamond; we have a large selection of solitaire mountings to choose from. We have jewelry for everyone’s style and budget, in white and yellow gold. We will size and set your diamond free of charge when purchased from us, and in most cases are done the same day.